Aside from being fun, rowing has many health benefits. Whatever form of rowing you try, it is a great way to stay physically active or develop your fitness even further. Rowing works nearly all of the muscles in your body so it is a very efficient work-out; It can be one of the most physically demanding sports… if that’s what you want out of it! If you decide to take up rowing competitively you might want to know the types of training that you will be doing to make you strong, get you fit and prevent injury, under the guidance of your coach. Rowers generally do a combination of land and water training. Land training could include anything from sessions on the indoor rowing machines to circuit training (sometimes using weights depending on your experience) and core stability. Benefits include improvement of strength and endurance and preparation for your water sessions. Water sessions might cover technical skills and drills or rowing for extended periods of time, again depending on your level of ability. Aside from feeling good in yourself there is plenty of scientific evidence demonstrating that regular physical exercise lowers the risk of many diseases and improves your health. Benefits to your health have been shown to come from as little as 30 minutes of aerobic exercise three times per week, so why not improve your health whilst doing something you will love? There are three main components to health-related fitness, and two of these ‘body composition’ and ‘cardio-respiratory’ fitness are the major factors in preventing illness and disease. Regular rowing can increase your fitness in these areas. Body Composition describes the percentage of fat, bone, muscle and more in your body (fat mass and fat free mass). It is possible to have your body fat measured and this gives a good indication as to whether you need to lose or gain weight (other factors must also be considered). Rowing can be a good way to burn off fat as it is predominantly an aerobic sport. Cardio-respiratory exercise enhances your lung’s ability to provide oxygen to the blood and the heart and thus to the rest of your body. A lack of cardio-respiratory fitness is closely linked to heart disease. The good news is that cardio-respiratory fitness can be improved very quickly and without being too time consuming. Rowing is an excellent way to improve cardio-respiratory fitness and give yourself a major health boost. Please see our Health and Fitness page for more information. Many different rowing boats provide the opportunity to explore the waterways of the world, from touring the UK to rowing the Atlantic. From personal challenges, ocean crossings, and fund-raisers to regattas, heads and international competition - there are so many ways to enjoy rowing. 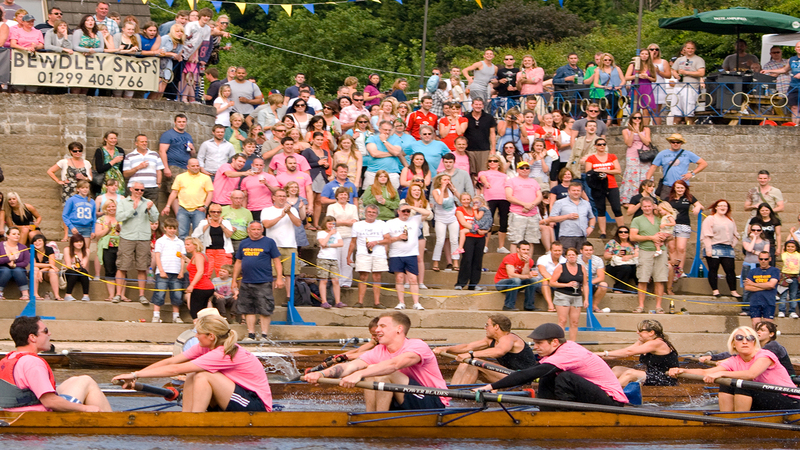 Rowing provides a ready-made community where you can make life-long friends.